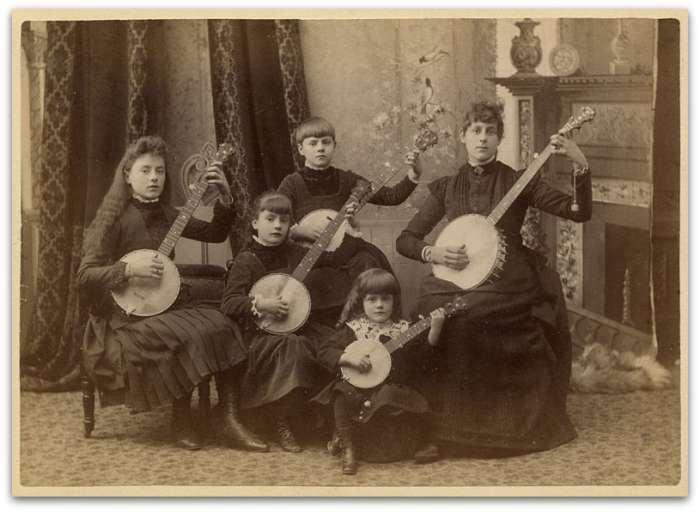 What’s better than 4 banjos? It’s Maude Pruzanski and her four daughters. A wonderful group. Show this picture to Uncle Boris and he’ll run. Evidently, he said something to the group and each member slapped him. By the way, they can be hired to perform at a simkha. They are really very nice people. Just don’t mention this group to Boris.